I could hardly contain myself in the queue at Fairway this morning. An entire section dedicated to Christmas and an English Christmas at that! There were Maltesers in the shape of Christmas crackers, boxes of jelly babies, selection boxes filled with McVities biscuits and even selection boxes of chocolates like I had when I was a kid. 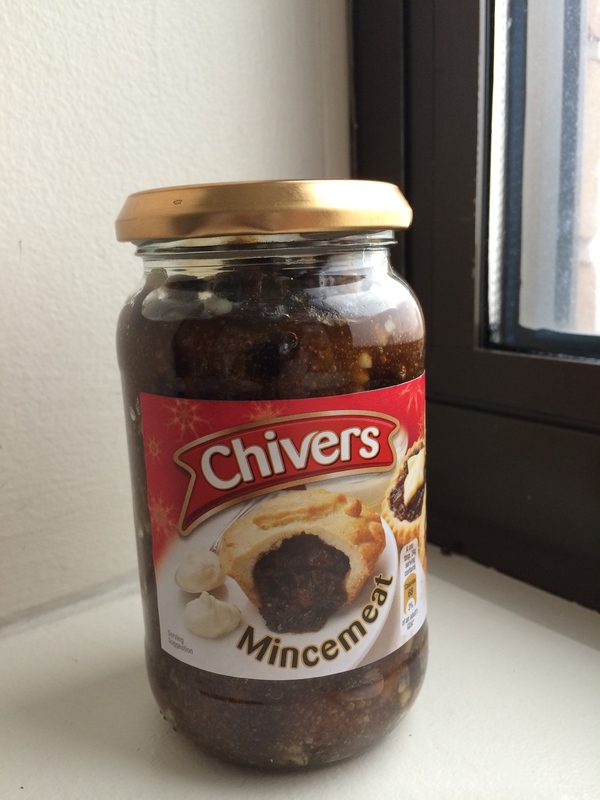 But most exciting of all was the jars of mincemeat to make mince pies. Mince pies! I didn’t see one here last year and I certainly didn’t see any mincemeat. I was so excited I made some this afternoon. Unfortunately I can’t find any icing sugar here, so they don’t have that lovely dusted with snow look. They were so nice, warm out of the oven with a cup of Darjeeling tea. 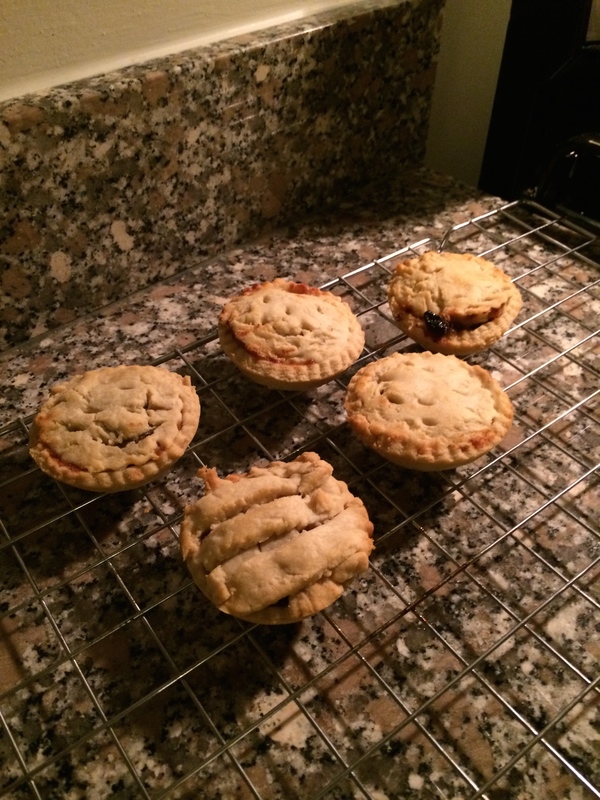 E said the pastry was a bit bland picked out the mincemeat and left the pastry. Tut, tut, fussy so and so. Here’s the result. Categories: Christmas, Food, Supermarkets | Tags: mince pies, mincemeat | Permalink.